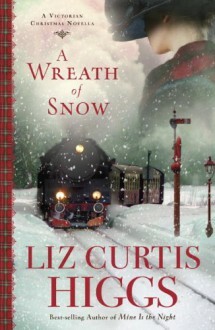 “A wonderful story of redemption and restoration that will warm your heart during the Christmas season—or any time of year!”—Francine Rivers, best-selling author of Redeeming LoveWrapped in a cloud of steam, the engine rolled to a stop, the screech of metal against metal filling the frosty air. Snow blew across the railway platform and around Meg’s calfskin walking boots. The weather definitely was not improving. She ordered tea with milk and sugar, eying the currant buns and sweet mincemeat tarts displayed beneath a bell jar. Later, perhaps, when her appetite returned. At the moment her stomach was twisted into a knot.“Anything else for you?” the cashier asked as she handed over the tea, steaming and fragrant.Meg was surprised to find her fingers trembling when she lifted the cup. “All I want is a safe journey home.”“On a day like this?” the round-faced woman exclaimed. “None but the Almighty can promise you that, lass.” “A Wreath of Snow glows with warmth, charm, and grace. A wonderful read.”—BJ HOFF, author of The Riverhaven Years seriesChristmas Eve 1894 All Margaret Campbell wants for Christmas is a safe journey home. When her plans for a festive holiday with her family in Stirling crumble beneath the weight of her brother’s bitterness, the young schoolteacher wants nothing more than to return to the students she loves and the town house she calls home. Then an unexpected detour places her in the path of Gordon Shaw, a handsome newspaperman from Glasgow, who struggles under a burden of remorse and shame. When the secret of their shared history is revealed, will it leave them tangled in a knot of regret? Or might their past hold the threads that will bind their future together? As warm as a woolen scarf on a cold winter’s eve, A Wreath of Snow is a tender story of love and forgiveness, wrapped in a celebration of all things Scottish, all things Victorian, and, especially, all things Christmas.